The company "Friborgas" took the electric bus and presented the presentation. The bus will run in the test mode on different routes. The purpose of the testing process is to examine the technical characteristics of electric vehicles, taking account of city infrastructure and operational conditions. As the Mayor of Tbilisi said, the modern world will be transferred to electrodransport and in this direction there will be no exceptions to Tbilisi. "Today we have brought one electric car and we want to test it on different lines for a month. Developed countries are going to move to electric cars from 2023. In general, this direction is gradually improving in the modern world, becoming more interesting and we will not be the exception. Over the course of the next few years, when this direction is more developed, we will definitely introduce electric cars. 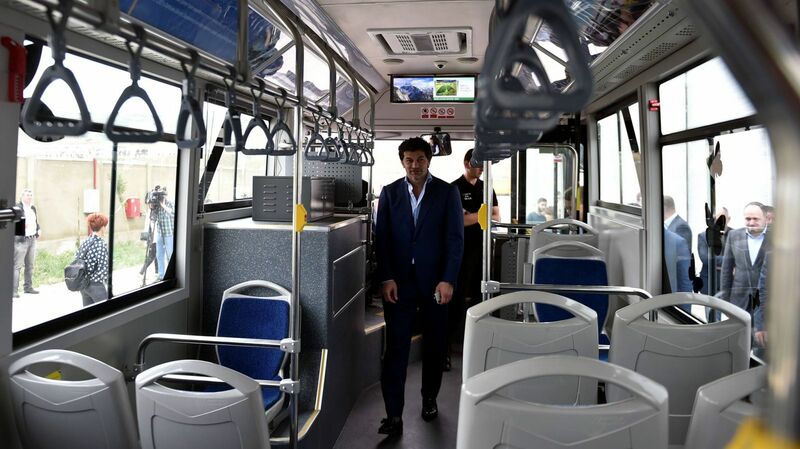 We are also working on the construction of buses, construction of buses in Georgia ", - Kakha Kaladze said. "Fergus" German company - EURABUS and Chinese Corporation ZTE Corporation plans to open an electric factory in Georgia. The construction of the electric motor is made of innovative methods and aluminum small details that do not need welding. The bus is divided into sections an d its length is 8, 10 or 12 meters. The electric bus is fully compatible with the requirements of the European standard and is 100% ecologically clean, which contributes to significant reductions in environmental pollution rates. The company plans to employ more than 300 locals after the factory has started working.